The newly formed entity controlled by affiliates of KSL Capital Partners, LLC and Henry Crown and Company that in July joined Intrawest Resorts Holdings, Inc., Mammoth Resorts and Squaw Valley Ski Holdings today announced, with Deer Valley Resort, that they have entered into a definitive agreement for the newly formed entity to acquire Deer Valley Resort. Financial terms of the transaction were not disclosed. The transaction is subject to certain closing conditions and is anticipated to close prior to the upcoming 2017-18 ski season. “Deer Valley Resort is one of the preeminent mountain resorts in the world and is a tremendous addition to our existing portfolio. Prior to this acquisition, we were able to offer our guests exceptional experiences throughout most of North America’s major ski regions, but we did not have a resort in Utah, a state that is renowned for great skiing and mountain town life. Park City and Salt Lake skiers have always known that powder, blue skies, a huge variety of terrain, and exemplary guest service have always set Deer Valley Resort apart,” said David Perry, president and chief operating officer of the new joint venture. “We could not be more pleased that Deer Valley Resort will be part of our new company, and we look forward to working with the staff and Park City community to carry on the traditions that make it so special,” added Mr. Perry. For the full 2017-18 winter season, Deer Valley will continue to honor the existing pass products that are currently on sale. Deer Valley Resort revolutionized the ski industry by providing the first-class service one would receive at a five-star hotel. The resort offers 21 chairlifts, 101 ski runs, six bowls, 12 restaurants, 300 annual inches of powder, three elegant day lodges, 2,026 acres of alpine skiing, hundreds of luxury accommodations and a renowned Ski School and Children’s Center. The new joint venture is a North American mountain resort and adventure company, delivering distinctive vacation and travel experiences to its customers. Together, Intrawest, Mammoth Resorts and SVSH own and/or operate 12 four-season mountain resorts with approximately 20,000 skiable acres and significant land available for real estate development. The mountain resorts are geographically diversified across most of North America’s major ski regions: Squaw Valley, Alpine Meadows, Mammoth Mountain Ski Area, Snow Summit, Bear Mountain and June Mountain in California; Steamboat Ski & Resort and Winter Park Resort in Colorado; Blue Mountain Ski Resort in Ontario; Mont Tremblant Resort in Quebec; Stratton Mountain Resort in Vermont; and Snowshoe Mountain Resort in West Virginia. The company’s mountain resorts are geographically diversified across most of North America’s major ski regions, including California, the Eastern United States, the Rocky Mountains, and Canada. The company also operates an adventure travel business, the cornerstone of which is Canadian Mountain Holidays, the world’s leading heli-skiing adventure company. Additionally, the company operates a comprehensive real estate business through which it manages condominium hotel properties and sells and markets residential real estate. Question: What is the transaction? Answer: The joint venture that brought Intrawest, Mammoth Resorts and Squaw Valley Ski Holdings together has entered into an agreement to acquire Deer Valley. The purchase price was not disclosed. Question: When will the transaction close? Answer: The transaction is expected to close prior to the new ski season. Question: Is Solitude included in the buy? Answer: No. Deer Valley partners will maintain ownership of Solitude Mountain Resort. Question: Why are KSL and HCC interested in Deer Valley? Answer: Deer Valley is one of the preeminent resorts in the world. 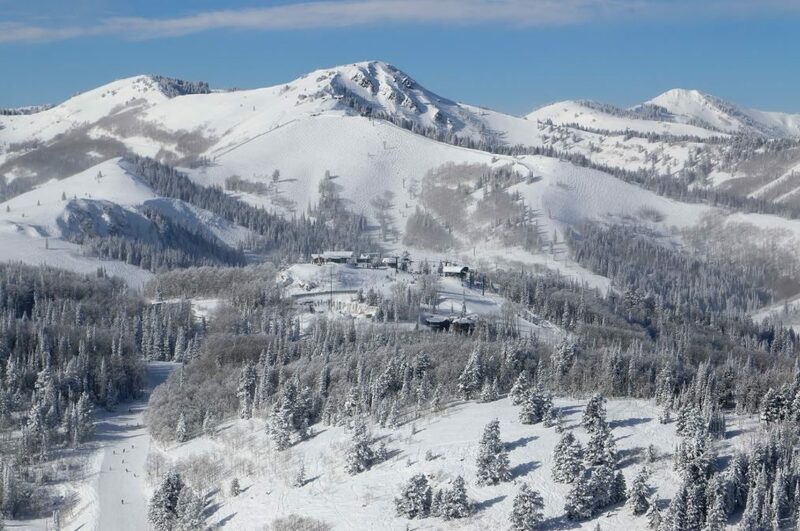 This transaction allows the new company to reach skiers and vacationers that desire to ski and travel to Utah, one of the premier ski destinations in North America. This acquisition will benefit the skiing public by providing Utah skiers an option in their state and destination options within a larger portfolio of resorts; it also provides guests at the other 12 resorts another destination with premier skiing. Question: Why did Deer Valley decide to enter into this agreement? 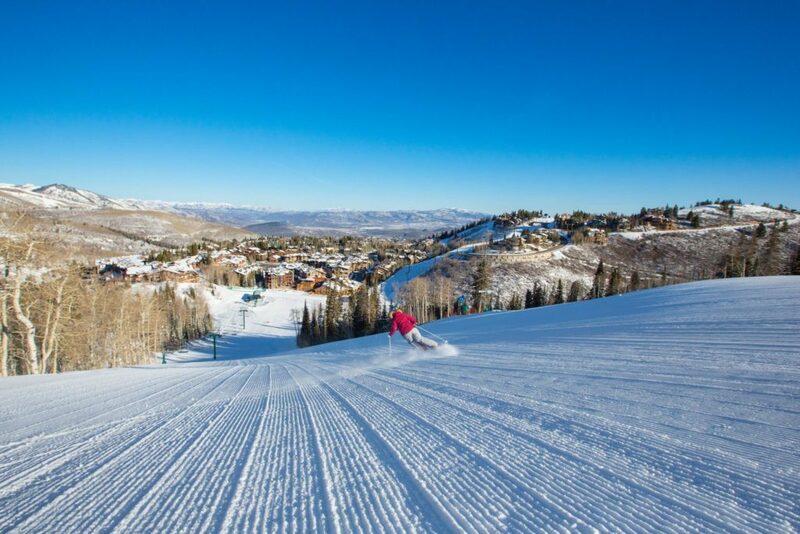 Answer: Over the last 36 years, Deer Valley has developed into one of the highest quality ski resorts in the country. This transaction puts the resort in a strong position to continue to grow as part of a portfolio of 12 other outstanding resorts. Deer Valley is excited about the new opportunities this will create for the staff, guests and the Park City community. Question: Is Aspen Snowmass part of the new entity? Answer: No, there is no inclusion of current Aspen Snowmass resorts in this transaction. Aspen remains independent, and we will explore opportunities to work together when and where it is appropriate. Question: Who is the appropriate press contact or person to direct questions? Answer: Please direct all press inquiries and external stakeholder questions to Lis de Roziere LdeRoziere@Intrawest.com at the new entity and Coleen Reardon creardon@deervalley.com or Emily Summers esummers@deervalley.com at Deer Valley. Question: Who is Henry Crown and Company? Answer: Henry Crown and Company dates back to the early 1900’s when Henry Crown and his brothers started Material Service Corporation, which was later merged into General Dynamics. Today, the Crown’s family assets fall into four broadly defined categories, including publicly traded securities, real estate, investment funds, and privately held operating companies, including Aspen Skiing Company. Answer: KSL is a private equity firm specializing in travel and leisure enterprises in five primary sectors: hospitality, recreation, clubs, real estate and travel services. KSL has significant ski industry experience and has owned Squaw Valley Alpine Meadows for the last six years. KSL has offices in Denver, Colorado; Stamford, Connecticut; and London, England. Since 2005, KSL has raised approximately $7.5 billion in equity capital commitments. For more information, please visit www.kslcapital.com. Answer: Intrawest is a North American mountain resort, adventure, and real estate company. Intrawest’s ski resort portfolio is geographically diverse and includes Steamboat and Winter Park in Colorado, Mont-Tremblant and Blue Mountain in eastern Canada, Stratton and Snowshoe in the eastern U.S., and Canadian Mountain Holidays (“CMH”) in British Columbia. Additionally, Intrawest owns more than 1,100 acres of land for real estate development. For more information visit www.intrawest.com. Question: Who is Squaw Valley Ski Holdings? Answer: Squaw Valley Ski Holdings (“SVSH”), an affiliate of KSL, is the parent company of Squaw Valley Alpine Meadows. Squaw Valley Alpine Meadows is an internationally renowned mountain resort in North Lake Tahoe that spans over 6,000 skiable acres. The resort features slopeside lodging at The Village at Squaw Valley®, which bustles year round with nonstop events and over 50 bars, restaurants and boutiques. With an annual average of 450 inches of snowfall and 300 sunny days, Squaw Valley Alpine Meadows is known as the spring skiing capital as it provides one of the longest ski and snowboard seasons in Lake Tahoe. Skiers and riders of all ability levels are welcomed by over 65 percent beginner and intermediate terrain, 14 easy-to-navigate mountain zones and a custom app to make the most of every visit. For more information visit www.squawalpine.com. Question: Who is Mammoth Resorts? Answer: Mammoth Resorts is the leading four-season mountain resort operator in California. The company owns and operates a variety of recreation, hospitality, real estate development, food and beverage and retail enterprises. This includes Mammoth Mountain Ski Area, Snow Summit, Bear Mountain and June Mountain. Mammoth Resorts is also the owner-operator of Tamarack Lodge and Resort, Mammoth Mountain Inn, Juniper Springs Resort, the Village Lodge, Mammoth Mountain Bike Park, Snow Summit Bike Park, Mammoth Snowmobile Adventures, Sierra Star Golf Course, and Bear Mountain Golf Course. For more information visit www.mammothresorts.com. Answer: Aspen Skiing Company owns and operates the four mountains of Aspen Snowmass – Snowmass, Aspen Mountain, Aspen Highlands and Buttermilk – as well hospitality properties The Little Nell, Residences at The Little Nell, Limelight Aspen, and Limelight Ketchum in Ketchum, Idaho. In addition, Aspen Skiing Company owns and operates numerous retail and rental locations through the resort and the Roaring Fork Valley. For more information, please visit www.aspensnowmass.com. Question: Will Deer Valley continue with business as usual? Answer: Operations will continue in ordinary course. For the full 2017-18 winter season, Deer Valley will continue to honor existing season pass and multi-resort products. Future seasonal hiring will remain in the ordinary course. Question: Will Deer Valley allow snowboarding? Answer: There are no plans to allow snowboarding at this time. Question: How about all of the unique services such as limiting the numbers of skiers on the hill, ski valets, complimentary ski storage and host tours, and free parking? Answer: There are no plans to change Deer Valley’s offerings or programs. Question: Will staff grooming standards change or remain the same? Question: What will happen to season passes? Answer: For the full 2017-18 winter season, we will continue to honor all existing season pass products. Deer Valley will also maintain its current season pass reciprocal program benefits, such as the Wasatch Benefit and Solitude and Steamboat pass exchanges. Question: Will Intrawest, Mammoth, or SVSH be added to our passes? Answer: As passes for next year are already being sold, no immediate changes to pass products are planned. Question: Will Aspen Snowmass be involved in a joint pass in the future? Answer: This is open to discussion and consideration in the future. Question: Are there additional acquisition opportunities? Answer: The Company will continue to explore additional growth opportunities to complement the current resorts. Question: When will a new pass product be announced? What will that look like? Answer: There will be no changes in passes for the 2017-18 season. Regarding future new passes, this will be shared at the appropriate time. Question: Will the current management at Deer Valley remain in place with the new company? Answer: Yes. Bob Wheaton will maintain his position as General Manager serving in his current Deer Valley role with no anticipated changes for the foreseeable future. Bob will continue to provide guidance and support at Solitude Mountain Resort with Kim Mayhew continuing as General Manager. Question: Who is running this new company? Answer: Bryan Traficanti of KSL is serving as interim CEO for the new company while the company runs a search process to hire a CEO. Also, David Perry joined the company from Aspen to serve as President and Chief Operating Officer. Deer Valley’s President and General Manager, Bob Wheaton, was interviewed by a local radio station and addresses the future of Deer Valley Resort. If you have time we hope you can listen to it. We believe it will provide the confidence to you that we see no change in the offerings or experience one has come to expect at Deer Valley Resort. You can listen to that interview here: http://kpcw.org/post/bob-wheaton-no-changes-deer-valley-despite-sale#stream/0 We hope to see you on the slopes this winter at Deer Valley Resort. We so are grateful that you are invested in being a guest of Deer Valley. As mentioned in our press release and FAQs, we honestly do not anticipate any changes to our offerings or our business model. Our senior leadership will remain in place. We sincerely hope you keep us on your list as we believe you will find little change to our operations and the experience at Deer Valley Resort. Please let us know if you have any questions. Malone said Park City could benefit from a similar influx of visitors if Deer Valley is added to a competing multi-resort pass. The resort has stated that the season pass will be unchanged for the upcoming winter. Boy this guy doesn’t know when to quit. Just so we’re clear any “influx” of retail ski tourists from wherever will be quickly offset by the “outflux” of high dollar season pass holders. If any of you believe that changes won’t be happening you are in for a rude awakening. Just look at what KSL did to Squaw Valley/Alpine Meadows. A whole bunch of lies fed to everyone at the beginning and then they just do whatever the hell they please. They have deep enough pockets that they will pay off all the local politicians or anyone who stands in their way to provide a return for the investors and keep the bigwigs multi-million dollar bonuses flowing. This is a private equity firm folks. All they care about is the $$$$. What happens to the value of our Deer Valley locals only passes that have not been used from previous year? We were told that we could either roll it into new pass or use dollar value in dining at Deer Valley. For the full 2017-18 winter season, we will continue to honor all existing season pass products. As soon as we get more information we will be passing it along to the public. We look forward to seeing you on the slopes this winter. Let us know if we can help with any other questions. Please know that at this time we have no plans to change any of the offerings so unique to Deer Valley. Our senior leadership will remain in place and we believe you will find little change to the experience at Deer Valley Resort. We are monitoring all guest feedback and sending it our new ownership team. Let us know if you have any questions. We hope to see you on the slopes this winter. “…at this time …. ,,no plans” – typical sleazy lawyer/politician phrasing. Everything unique at Deer Valley will be gone in short order. As mentioned in our press release and FAQs, we honestly do not anticipate any changes to our offerings or our business model. Our senior leadership will remain in place and we believe you will find little change to our operations and the experience at Deer Valley Resort. Please let us know if you have any questions. As skiers and/or owners we selected Deer Valley to ski because of its unique service offering. Perhaps your answers “no changes…at this time” are the best you can do but they are not very comforting. 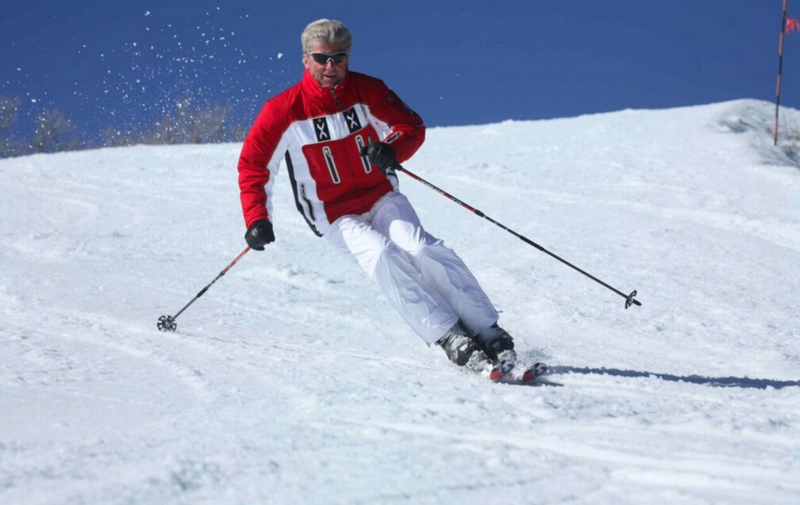 Though I own at Deer Valley, as a prudent individual, we are already considering our second week ski vacation (which has always been Deer Valley) to find another great place to ski as we are considering how to “hedge our bets” should there be changes. New investors, unless the acquisition cost was low, will look to make “improvements/changes” to improve the financial performance of the resort. Some unsolicited feedback: many/most of us would prefer something like price increases as opposed to more skiers/snowboarders or perhaps prefer an expansion as a means to increase the financial performance. The current staff, # of skiers, ski conditions, generally great environment are why we ski/own at Deer Valley. Should you change that you will lose your established customer base and it will become just another crowded resort. Lets not kid everyone, a private equity firm’s main reason for existence is to buy a company that they can build efficiencies into, and then turn it into a better/more profitable entity for future sale. Besides cutting expenses/costs, how will the new Deer Valley’s management try to find these efficiencies without effecting the highly successful nature of the current Deer Valley experience? We so are grateful that you are invested in being a guest of Deer Valley. As mentioned in our press release and FAQs, we honestly do not anticipate any changes to our offerings or our business model. Our senior leadership will remain in place. We sincerely hope you keep us on your list as we believe you will find little change to our operations and the experience at Deer Valley Resort. Please let us know if you have any questions. We hope to see you on the slopes at Deer Valley this winter. As mentioned in our press release and FAQs, we honestly do not anticipate any changes to our offerings or our business model. Our senior leadership will remain in place. We sincerely hope you keep us on your list as we believe you will find little change to our operations and the experience at Deer Valley Resort. Please let us know if you have any questions. We hope to see you on the slopes at Deer Valley this winter. Deer Valley and Park City are owned by separate companies and there are no plans to drop the rope. We honestly do not anticipate any changes to our offerings or our business model. Our senior leadership will remain in place and we believe you will find little change to our operations and the experience at Deer Valley Resort. The persons who “own” Deer Valley are poised to make a fortune on top of their already significant fortune, when they decide to give up the reins. Once that happens more land will be acquired, more structures will be built, more people will come, more tickets will be sold, and Deer Valley along with the rest of Park City will become another city we all have tried to avoid. It will lose its simple, laid back atmosphere and its charm. Mark my words “In time Park City as you know it will be gone” all because of More, More, And More. I’ve seen it happen time and time again. Look closely and you will see the infrastructure already being created. Can you share the name of the search company looking for the new CEO? Thanks for reaching out. Spencer Stuart is running the search. Let us know if we can help with anything else. Thank you for reaching out. There will be no changes in passes for the 2017-18 season. Regarding future new passes, this will be shared at the appropriate time. Let us know if we can help answer any other questions. We look forward to seeing you on the slopes this winter. Although you have said there will be no changes to the lift pass arrangements you have already dropped the International pass which allowed skiing at Deer Valley and Park City on the same pass. Coming from the UK this has resulted in significant additional costs in having to buy two separate passes for a two week holiday in March 2018. Had I known of this change before I had booked the holiday several months ago I would have thought twice about choosing Park City. I would assume I am not alone with this thought and am disappointed that you have cancelled this enticement which I feel will have a negative effect on overseas guests. We apologize for the inconvenience. For over 10 years, the Park City Chamber/Bureau partnered with Deer Valley Resort and Park City Mountain to offer the Two Resort International Pass (T.R.I.P.) to our international lodging partners, tour operators and guests. T.R.I.P. was first created to help differentiate our destination from other international mountain destinations and bring awareness to the two unique mountain resorts in Park City, Utah. In April 2017 the program was canceled. The Park City Chamber, along with the resorts decided to discontinue T.R.I.P. as we all recognize that it’s time to move on from this program and rely on the resorts to promote their individual international lift ticket and pass offers. We have passed your information on to our Senior Tour and Travel/International Manager, Marilyn Stinson. She will follow up with you with new options that Deer Valley Resort now offers our International guests. Please let us know if we can help answer any other questions. We look forward to seeing you on the slopes this winter. Uncluttered/unclogged trails and safety are a great part of your draw. Please bring back prime rib carving stations. We are a group of Australian friends in our 60’s and 70’s who have traveled to Park City every winter for a lot of years at great cost to us because of the Australian Dollar exchange(we are paying and AUS$1.25 for each US$) and we come to ski Deer Valley for a number of reasons and one main reason is No Snowboarders. We have also skied Alta, but find Deer Valley more convenient, but if Snowboarders are introduced to Deer Valley, this is one group who will not come back. We have already booked our airfares and accommodation for 2017/2018 season and would not be happy if there are changes to the detriment of our ski holiday. We very much look forward to skiing Deer Valley because of the safety aspect because of our ages and also because we like the ambiance and food etc at the resort. Please think about the safety of the people who ski Deer Valley, it is a major concern for us older skiiers. Hey Cheryl, thanks for you comment. Deer Valley is still a ski-only resort. Hope you have a wonderful visit this winter! Not one mention of Bob Wheaton. This is the end of an Era. Stein Erickson and the locals 10 pack passes are just memories. One can be certain that the tree powder will soon be replaced by new runs and the Turkey Chili will be replaced by something far more hip like gluten free, daily free Quinoa soup. I’m glad my family had the fortune to know Deer Valley when they did. We supported Deer Valley because it was local despite the snow being half what falls in the Cottonwoods. Deer Valley was unique because the head management saw to it that they offered different things that was worth the extra money- like the locals 10 pack. With the locals roll over 10 pack we could justify buying these in addition to our other season passes and our cabin in Wyoming. I also know that we are not alone, there were a lot of locals that loved the 10 pack flexibility. A good friend in the know has told me to use them this year or we are going to lose what ever value we have in them. My son is gone for the year so THANK YOU Deer Valley for that. Please know that there are no plans to change the Turkey Chili or remove tree skiing. We are still finalizing the Deer Valley products for next year and our guests are top of mind while doing so. When all of the information is finalized and made public, we believe our loyal guests will be happy with the offerings. Let us know if you have any other questions. We look forward to seeing you on the slopes. I have skied at Deer Valley since the early ‘90s. I come because of the lack of snowboarders, limited ticket sales and the tree skiing. There are other resorts in Utah (not owned by this new conglomerate) which are newer or have better snow. If you allow snowboarding and don’t limit ticket sales, what separates you from all the other competitors? Don’t kill your “Golden Goose”. Deer Valley will continue limiting ticket sales and keep it’s ski only policy for the 2018/2019 ski season. So the new DV pass offerings were announced today. What’s the upside for full seasons pass holders? As a customer for 20+ years and a locker user I’m totally confused by the Ikon mess. So I get all the downside of more people on the hill and no upside of any Ikon privileges even though I’m spending thousands. Huh? I have to go pay even more money to buy an Ikon pass even though I’m now going to be suffering through a more crowded ski experience after buying two full seasons passes? This is pretty screwed up. I guess I’m not surprised. Thank you for your loyalty to Deer Valley Resort. Please know that we have passed your comments on to both Deer Valley and Alterra Mountain Company’s Executive teams. Have a great day. Will you commit to limiting ticket sales and keeping the skiers only policy for the 2019/2020 season and thereafter? I have been skiing DV for ~20 days per season for the last 11 years. I choose DV because of the unique experience which is driven mainly by the ticket sales cap, the skiers only policy and the customer service (read: more expensive labor). This is your competitive advantage. I would strongly suggest (if you haven’t already) that you study what makes a luxury brand and/or unique experience command premium pricing over the long term. You don’t have to look further than Disney or Hermes (both stocks up >50x). Know what makes an experience truly unique and continually add value to it. Do not go for volume! Limit supply. Let price drive the margin. Do not cut labor and change the experience. The experience at Park City Mountain is a commodity with 30 minute lift lines. Don’t emulate it. Your customers will notice. Private Equity has an atrocious track record in this space, bankrupting American Skiing , Vail Assoc and many others. It’s easy to drive volume in any one season. It’s difficult to create a lot of value over the very long term. My fingers are crossed.